This homeowner spent a lot of money to treat a willow oak that was ready to fall on his home. Sometimes a homeowner will call and ask for a free estimate. 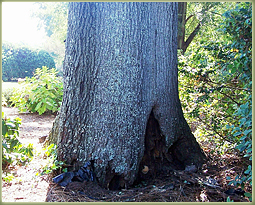 Like other Upstate tree services, we offer free estimates on all our arboricultural services. When asked, “What kind of problem are you having?” “I was hoping you could tell me.” Is a common response. Rarely, are we able to determine the problem over the phone. Often, the red flags that alert owners are secondary, while the real issue remains underlying. Reliable diagnosis and risk assessment (hazard evaluation) requires that we physically examine your tree (anything less would be irresponsible). This may involve digging up the root collar, testing the soil, sounding for trunk decay and retrieving crown samples (for lab analysis). For this service we charge a nominal fee, which can be applied towards treatment (if needed). While tree removal companies use free consultation as a sales tool to draw new customers, we rely solely upon our reputation. What begins as a ‘free tree inspection’ can easily lapse into a sales pitch geared towards selling a service. 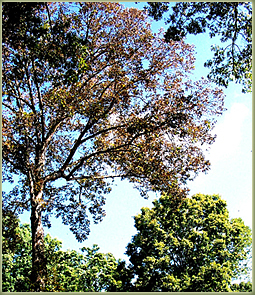 But a large shade tree can cost thousands to remove. Is it necessary? Are there alternatives? Our independent consultation is an educational opportunity that will likely save you hundreds, if not, thousands of dollars! 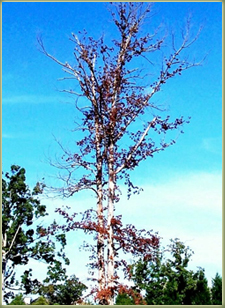 When you schedule an appointment with us, you can expect a Tree Risk Assessment Qualified, Board Certified Master Arborist to show up on time, get to the source of the problem, and provide the impartial guidance necessary to save your tree (if it can be saved), while sparing you of a lot of worry. 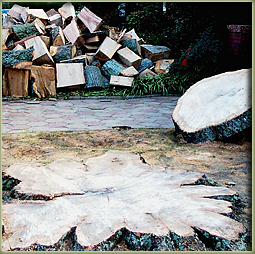 Out of fear this widower had this sound water oak felled for $3 grand. This company spent $4 grand to treat their declining white oak which died shortly after. Brown in midsummer is not good. 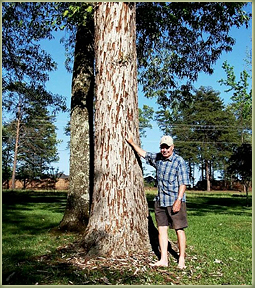 A tree service wanted to cut down this widow’s oak for $2 grand. We found oak weevils behind the defoliation. No action was needed. Within a month her oak was green again.